To get 10% off your order of IdealFit supplements, CLICK HERE and use code BAR10. This discount code/coupon is exclusive to BarBend readers. IdealFit produces a wide variety of nutritional supplements, including protein powder, BCAAs, preworkouts, protein bars, and more. 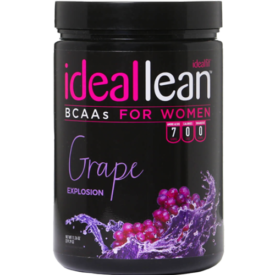 Find out our thoughts on their IdealLean BCAAs HERE. 1. Visit their site HERE. 2. Shop for your preferred products and add them to your cart. 3. During the checkout process, use promotional code BAR10 to receive 10% off your first order.